WARNING proxyio is still in beta stage, very unstable! 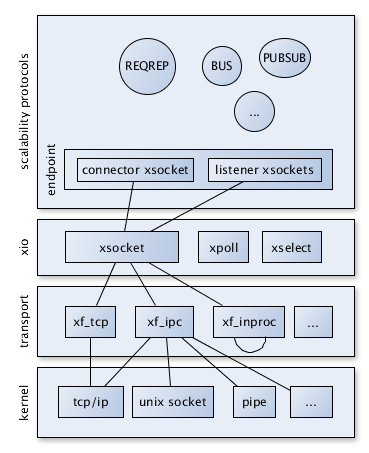 proxyio is a socket library that provides several common communication patterns. It aims to make the networking layer scalable, and easy to use. proxyio is implemented in C, now only support unix/linux, we will support windows and other os platform in the near future. Scalability protocols are layered on top of the transport layer in the network stack and implemented by endpoint.